ITV has announced that its flagship daytime programme ‘This Morning’ is to return to its original home, Liverpool’s Albert Dock, albeit for a one off special programme. The broadcaster announced that hosts Phillip Schofield, Holly Willoughby, Eamonn Holmes and Ruth Langsford will present the 25th Anniversary programme from the banks of the River Mersey on October 3rd. Original presenters, Richard and Judy, will also join in the celebrations, whilst the floating weather map will also make a return with Keith Lemon expected to take over the duties. This Morning broadcast its first series from the Albert Dock in 1988 and continued there until 1996 before moving to London to attract more and bigger guests to the programme. The dock saw many a mishap, including a miming singer and the infamous streakers who invaded the weather map. Today, Liverpool’s Albert Dock is home to a selection of restaurants, bars, apartments, novelty shops and The Tate Liverpool. Visit the ITV Press Centre and imediamonkey for more details about the 25th anniversary series. 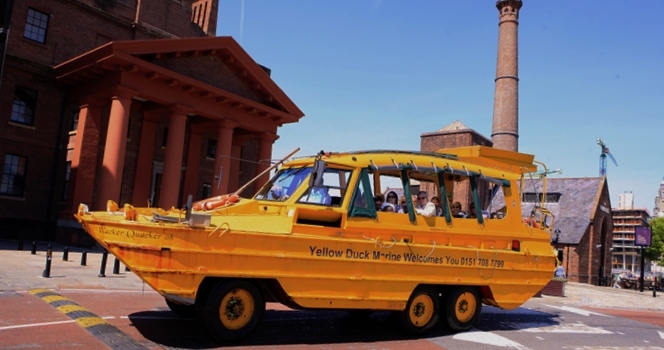 On Dry Land: The “Duck” tours Liverpool. 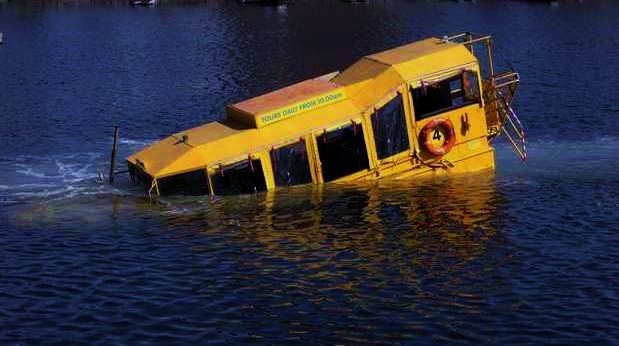 Dramatic images have been released of an iconic Liverpool vehicle sinking in the waters close to the Albert Dock. 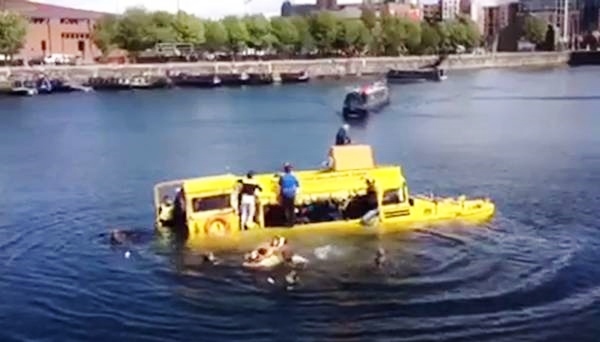 The “Yellow Duckmarine” as it’s known allows tourists a unique opportunity to tour the city, on the road and in the waters, in the converted amphibious war vehicle. Yesterday, Saturday 30th April, tourists on board the vehicle had to be evacuated from the Salthouse Dock, as water started to fill the cabin. 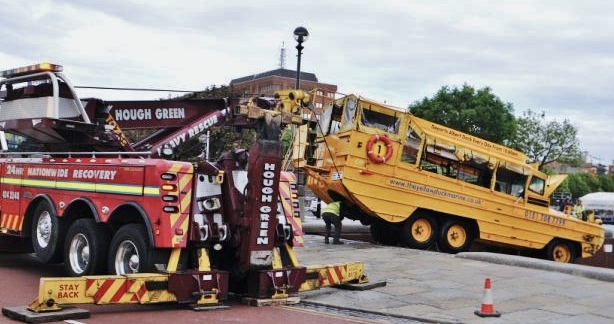 Images, from Roger O’Doherty, show how the iconic vehicle became fully submerged shortly after passengers were safely evacuated onto a nearby pontoon. It remains unknown at this point how the incident occurred. Having been on the “duck” myself, the speed of entering the waters may have created a powerful force onto vehicle, causing subsequent damage.